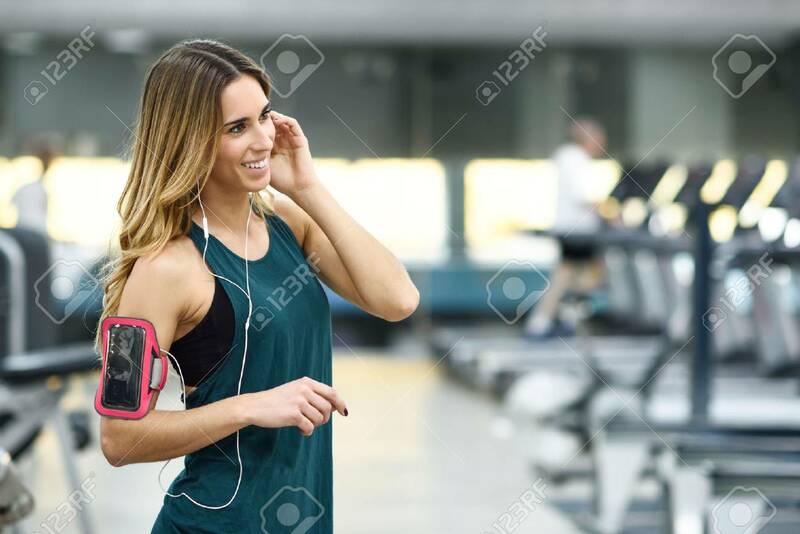 Young Woman Using Smartphone Standing In The Gym Before The Training... Stock Photo, Picture And Royalty Free Image. Image 75262974. Stock Photo - Young woman using smartphone standing in the gym before the training. Beautiful girl smiling. Young woman using smartphone standing in the gym before the training. Beautiful girl smiling.